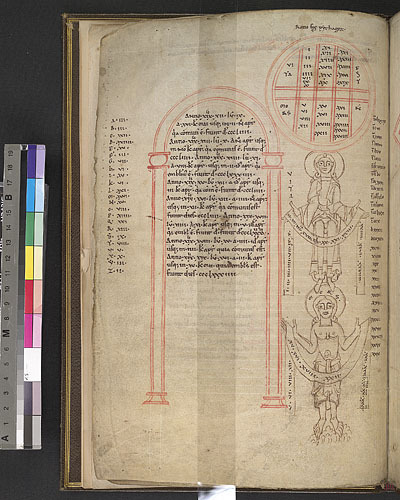 Description: Drawing of standing men labelled, to the left 'Vita' (Life), above a figure labelled on his halo 'Mors' (Death) in a diagram used for calculating the duration and outcome of illnesses. The sum of the numerical value of a patient's name plus the number of the lunar day of the illness's inception and the result divided by thirty. If the resulting number fell in the realm of Christ / life, recovery was indicated, if Satan / death, then fatality.